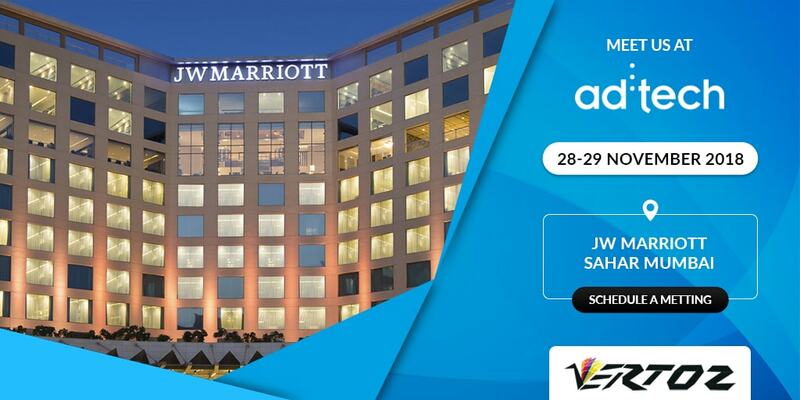 After an overwhelming response at ad:tech New Delhi, Vertoz is back at ad:tech for it’s Mumbai edition! The event is hailed as world’s #1 interactive advertising & technology conference and exhibition, and will be held at JW Marriott Sahar Mumbai, between 28-29 November 2018. Ad:tech Mumbai will provide Vertoz a global platform, where the technology, marketing, and media organizations come together to share novel ways of thinking, build strong partnerships, and define new strategies that will address the key challenges of the ad-tech industry, while driving business forward in an ever-changing marketplace. We hope to meet you at the event! To book your slots with our execs, schedule a meeting with us here!